Saleem Haddad (*1983) is a novelist and aid worker. 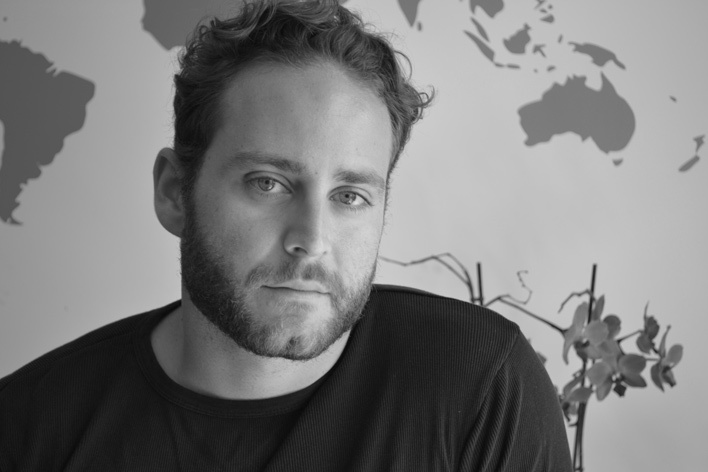 This year, he published his debut Guapa, a coming of age story about a young homosexual man in the Middle East. Earlier this summer, a young French writer at a literary conference I attended in Berlin said that it was presumptuous for writers—particularly writers of fiction—to assume their work held any power to change the world. The act of reading fiction remains the domain of the privileged, he explained, with an air of rebellious smugness brought about by this belittlement of everyone in the room, himself included. What kind of writer would say this, I wondered? Why would anyone put themselves through the long, lonely hours, the rejection and self-doubt, the vulnerability, shame and exposure, and the anxiety of such public scrutiny, for something they did not feel had much importance? Beyond my immediate visceral rejection of his statement, I could not deny the kernel of truth in his arguments. Very few people have the time, energy and ability to curl up in a comfortable chair by a warm fire, or soak up the sun on a tropical beach, while indulging in a make-believe story. There aren’t many refugees making their way across the Mediterranean with a copy of The Goldfinch in their bag. Only the deluded novelist holds the belief that fiction has the power to create revolutions, to save lives, or to bring down dictators. In the age where Donald Trump is running for president and massacres rarely raise more than an eyebrow, when reality is stranger than fiction and ten times more heartbreaking, do novels still have a role to play? During the Arab revolutions many novelists, from Egypt’s Ahdaf Soueif to Syria’s Samar Yazbek, wrote about the need for novelists to put down their pens and participate in the revolutions as citizens, rather than writers. And yet, as the revolutions went on, I did the opposite: I began to write. Why was it that—at the moment when, in Ahdaf Soueif’s words, it was our responsibility to become citizens—I decided to become a novelist instead? I recall being in Yemen just a few weeks into a fragile ceasefire in the summer of 2011. I met with young activists, armed revolutionaries, Islamist opposition parties and government loyalists, and on the drive to the airport I struggled to reconcile the contradictory information relayed to me in all sincerity by the diverse groups of Yemeni citizens fighting to claim a stake in their country. On the way to the airport to catch my flight out of Sana’a, my head was spinning, and I conversed with my driver about the disparate narratives I had heard from everyone I met. When I stopped talking, my driver turned around and—with a mouthful of qhat—gave me a big grin, although a seriousness that made my blood run cold was in his eyes. Yemen’s ceasefire collapsed soon after I left. As I watched a country I love begin to self-destruct, my driver’s statement echoed in my ear. Back in London I turned on my computer, and began to write. As the 2011 revolutions ripped through history, opening the floodgates to wars, lies, and dashed hopes, I wrote. With every massacre, I wrote. With every leader that fell, I wrote. I watched footage of the protests, of bombs dropping on villages, I read stories of heroism and torture and had heated discussions with activists from across the region. I drew not just from my own emotions about the events but also from those around me. And I wrote. By early 2013, I had the first draft of a novel, about a young man searching for his sexual, political and emotional identity in the uprisings in his country. After witnessing the revolutions up close, and with the luxury of hindsight, it now seems obvious to me that revolutions make liars of us all. The success of a revolution is partly based on its ability to construct a story for itself. In order to succeed by capturing the imagination of citizens, this story must present the truth as linear and objective. Even the most just cause must insist on the objectivity of its truth above all others. And it was because of this that I could not find salvation in political activism. Revolutionaries require a steely determination to the pursuit of a single goal. Activism, so heavy with purpose, so wedded to facts and sources, does not have the luxury of engaging with the subjectivity of truth, of exploring the shades of grey that dominate our everyday lives. Activism must be tactical, strategic, time-sensitive, and above all, maintain a staunch belief in the objectivity of the truth. Truth must be approached in a straight line, else it risks instrumentalisation or misunderstanding. And so, in the midst of the revolutions, I found salvation in the lies I told myself in my fiction. If revolutions are competitions over whose lie will prevail, writing a novel felt like constructing lies to reach a universal truth: one that explores and acknowledges the subjectivity of all truths. This subjectivity can be ugly, confusing, and terrifying. And yet it is the writer’s job to present this through exploring all other options. Fiction helps to give voice to expressions and feelings that are contradictory, shameful, hidden and brushed aside. Such feelings have no room in revolutions, a contested and vulnerable space where to be hesitant made you vulnerable to defeat. Revolutions are intensely personal. Beyond political events that affect the trajectory of nation-states, revolutions trigger powerful emotional journeys that transform the inner lives of those directly affected by the events. This deeply personal transformation is not discussed in public chants at protests, or in political statements, tweets, and op-eds that drive revolutions. The stories of emotional transformation in the midst of political turmoil: of the couples who fall in love and the marriages that fall apart, of those who leave and those who stay, those who decide to have children and those who decide to take their own lives: these stories are only told in private spaces—often in whispers and late at night, after a few drinks and some long moments of silence. And it is these stories that fiction can uncover. In fiction I found a space to explore the impact of these emotional transformations that happened underneath the surface of the revolutions. In fiction I was able to explore these inner lives, to draw out connections between the personal choices people make and the consequences these choices have—both at the individual level and at the broader, political, level. Through describing a particular piece of clothing a character wears, a snippet of dialogue heavy with unstated emotions, or the memories evoked by a particular smell, fiction allows the exploration of our inner lives and the contradictions and depths of our character. In these sensory details, fiction holds the promise of articulating—if only tangentially—something about the way we live and love. If the violence of revolutionary change risks flattening our stories and identities into black and white narratives, fiction presents the opportunity to explore the hidden and contradictory depths of our identities in all its dimensions. The process of giving depth, shape and size to our stories can be part and parcel of the revolutionary act itself, a necessary ingredient in the revolutionary process. No other form of art is able to take us so close into the mind of another person, to put on their skin and listen in on their innermost thoughts and feelings. And the revolutionary potential of such an act must not be missed out. Lost in a good story, we can begin to understand and empathize with one another, something that is sorely lacking in our current climate, where de-humanizing the other is at the core of our increasingly divisive political rhetoric. And ultimately, how can you hate somebody when you have lived inside their skin, seen the world through their eyes? Fiction presents us with the opportunity to truly understand one another, taking us one step closer to a true realisation that, ultimately, we are all struggling and loving and living and dying under the same stars. And yet I wince as I re-read that last paragraph. I hesitate. I hesitate because I do not want to burden fiction with the political goal of contributing to a revolution. To write fiction with a political goal in mind is to miss the true power of fiction. And I certainly hold no delusions that writers of fiction hold a candle to the bravery of those who have given their lives for a cause they so strongly believe in. That would be giving writers of fiction too much credit, too much selflessness. For writers are ultimately selfish people. We write to make sense of the world around us, utilizing all the tools at our disposal—whatever the cost may be. We will steal your stories when you’re not looking; we will drain your emotions like vampires to supplement our narratives; we will expose your innermost thoughts like tabloid journalists. And why? We do this to save ourselves, to expel a story inside of us, a story that sits at our chest with a heaviness that makes it difficult to exist in the world with ease. Perhaps we turn to fiction during moments of upheaval to give a shape and a form to our own sorrow and pain. Perhaps we are trying to, if not stare straight at the truth then to talk around it, to unpack the shapes and textures and tones of our sorrow. To comfort ourselves and, if we are lucky, offer a shred of comfort to others who can see their own sorrow and pain reflected back to them.